Logitech's Harmony Hub is the best connected hub to control your entertainment system and smart home devices in one place. Pros: Connects to non-Wi-Fi enabled entertainment systems, compatible with over 270,000 entertainment and smart home devices, uses IR, Bluetooth and Wi-Fi wireless protocols, price, IFTTT applets, control smart devices through Harmony app, Android and iOS. Cons: Lengthy process pairing non-connected devices. 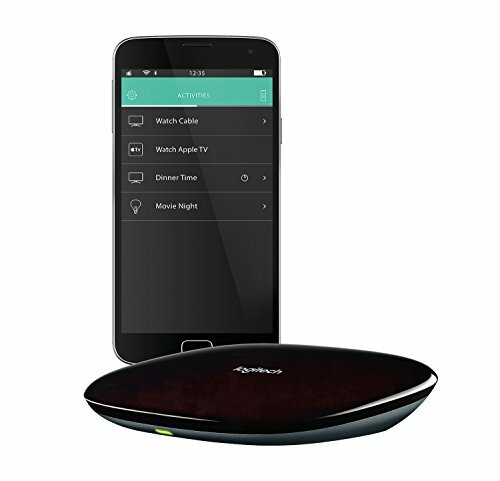 At GearBrain, we have tested many smart home hubs, with several connecting with Bluetooth speakers or a smart TV. However, not one could connect to a smart home device, like smart lights, locks, or even a stereo system. (Note: we define a stereo system as an entertainment system with an unconnected amplifier, DVD player, CD Player, iPod docking station and tuner.) Logitech's Harmony Hub is the exception, and spending some time with the device (sent to us by the company), we think it's the best hub for stereophiles looking to turn their home into a smart home. What is the Harmony Hub? Harmony Hub is a connected hub that can act as the brains for your home entertainment system and smart home devices. Connecting the device to a stereo and TV — even if they're not Wi-Fi or Bluetooth compatible — is simple. First, place the hub close to a television, cable/satellite box and entertainment system and Harmony will connect using Bluetooth, Wi-Fi and infrared (IR). IR is a key differentiator for Harmony Hub, a unique way for the device to connect to gadgets that aren't Wi-Fi or Bluetooth enabled. We think combining IR with Bluetooth and Wi-Fi in a connected hub is a smart move as consumers with sophisticated stereo systems, and gaming systems, can turn them into connected devices, controlling them through one hub. Harmony says it can connect with over 270,000 entertainment and smart home devices through its hub. When unboxing Harmony Hub, you'll find the hub, a power adapter, USB cable and IR mini blaster. The IR mini blaster gets connected to the back of the Harmony Hub and helps extend the coverage area for IR controlled devices. With devices that are behind doors or in cabinets, the IR mini blaster helps those devices read the signal coming from the hub. Once all components are unpacked, plug in the hub. It will take a few seconds to power up. When the power is on, download the Harmony app and begin the Wi-Fi setup. Harmony Hub is compatible with Android and iOS devices. Those using an old iPhone (iPhone 4 or iPod Touch 5 or earlier), need to set up the hub using a computer. Go to Harmony desktop software and create an account. Then, follow the hub and Wi-Fi setup. Harmony Hub uses IR to connect to consumer electronics. After downloading the app, make sure Bluetooth is enabled on your smartphone and you are connected to Wi-Fi. Once connected to Wi-Fi, the Harmony app should find your hub in a few seconds. During our testing, the app located the Harmony Hub in a few seconds. We then entered our Wi-Fi credentials and connected to the hub. The next steps add devices not found during the initial setup process. Harmony Hub automatically starts to search for devices linked on Wi-Fi, which in our case located our Roku Streaming Stick and Amazon Fire TV Stick. To add devices not initially found, press the Add Device button at the bottom of the screen. Here, our hub found one of our test August Smart Locks. Using the Harmony app, we were invited to setup the hub to control our August Lock. Other smart home devices Logitech's hub connects to include several best-of-breed smart home devices, like Lutron Serena window shades, Insteon, Honeywell thermostats and Philips Hue smart lights. To see the full list of smart home products you can control using Harmony Hub, click here. Once we added our smart home devices, we connected our entertainment system to the hub. This part was complicated and will likely take time as it requires knowing the manufacturer's name and model number for every device you want to control using IR and Harmony Hub. We added our stereo system which consisted of an amplifier/tuner, DVD player, CD Player, TV and iPod docking station. Although Logitech provides instructions on how to find the manufacturer's name and model number on every device, it's still very time consuming. It took us about 20 minutes to get all the devices to connect — and we'd hope Logitech will make this process as seamless as adding the initial smart home devices. 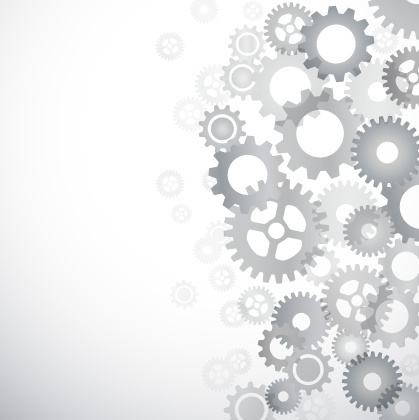 Once all the devices connected to the app, they can be controlled (i.e. turning them on/off, volume up/down, change channels, lock and unlock doors, etc.). Harmony's desktop software can also setup activities, create activities and modify commands for devices. Simplicity is key for consumers today when operating smart home devices and we like how Logitech's Harmony Hub makes that possible. Can add smart home devices and entertainment system to Harmony Hub. Another nice feature for Harmony Hub is its compatibility with so many entertainment and smart home devices. Harmony Hub also works with IFTTT which links other devices to the hub and also creates new commands/activities. Currently, there are several applets (over 65) for Harmony Hub on the IFTTT site. If the applet you need is not listed, consider creating one. Harmony Hub also works with Amazon Alexa. 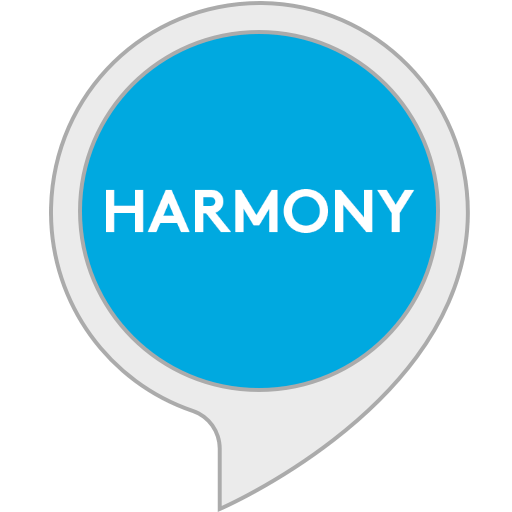 Using Amazon Echo or Echo Dot, you can control devices connected to Harmony Hub just by speaking aloud and enabling the Harmony Alexa skill in the Alexa app. Note: Our testing found a rather lengthy delay between the voice command and the action being completed. System requirements: iOS devices 8.0 or higher (iPhone 4S or later, iPad 3rd Gen or later, iPad mini, iPod Touch 5th Gen or later) and Android devices Wi-Fi enabled with 4.2 or higher. Harmony hub retails for $99 and is available on the company website as well as Amazon, Best Buy Walmart and other consumer electronics stores. Ports on a Logitech Harmony Hub. In our new connected world, everyone is going to have different needs, and different lifestyles. Some want connected products that help save them money on a utility bill, while others just want the latest smart home gadget on the market. For music enthusiasts who want an entertainment system and smart home device controlled through one hub, then Harmony Hub is a good option. It's the first connected hub we have found that uses Wi-Fi, Bluetooth and IR wireless protocols to help connect and control devices using a computer, tablet, smartphone or just your voice. Plus, we believe the hub is easy and intuitive to use. Just be ready to spend some time connecting any non-Wi-Fi or Bluetooth enabled devices. In the end, though, the process is worth the effort. If you need help installing any of these Smart Home Systems or products , you can visit HomeAdvisor.com to find a local trusted professional. 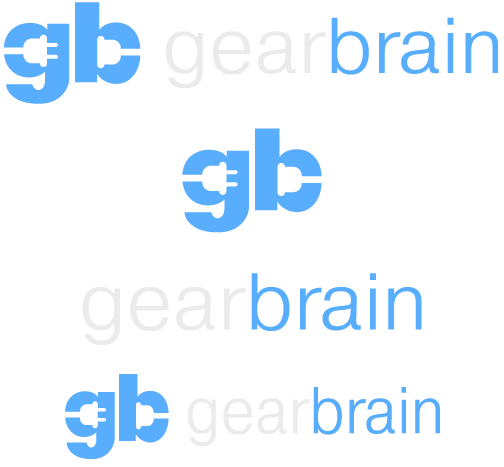 And don't forget to check out The GearBrain to see what other connected devices work with Google Home or Amazon Alexa enabled device.